As Nigerians get ready for series of elections in a month’s time, a Kaduna-based non-governmental organisation, Center for Media Advocacy for Mother and Child (CAMAC) is partnering journalists to see how women and children can be protected before, during and after elections in Kaduna State. One of the important points raised at this one-day media dialogue, organised by CAMAC and held in Kaduna was the need for the men of Nigerian Police Force and staff of Independent National Electoral Commission (INEC) to remain neutral so electorate can accept the outcome of the elections which will in turn address the issue of violence that may come up as a result of perceived injustice. Giving an overview of elections in Nigeria since 1999, the keynote Speaker and Founder, Zamani Foundation, Philomena Zamani said, elections in the country have not been credible due to violence. She said, “looking at the history of elections in Nigeria, the most hit are the women and children. It affects women so much each time there is electoral violence in Nigeria. She becomes a widow as a wife, or lost a brother or children because of election. The trauma will be there for a long time. We have not been able to overcome the trauma that followed previous elections violence, hence, the need to guide against a repeat. “A lot of counseling, continuous counseling is required for those that have witnessed crises which is now becoming part of them even in their homes. “If security agents can be totally non -partisans and allow politicians to do what they need to do, we can ensure peaceful and credible elections. INEC too should make sure that people’s vote count so they can willingly accept the outcome of the election. “Media has critical role to play in the elections. Media must report what they see, sensitise the voters about the issue of vote selling and vote buying. Media should let the people know that their vote is their voice and once they sell it, they sell their voice and become powerless”, she observed. She however called on the youths not to allow politicians to use them to cause trouble while their children are kept in safe custody, just as she urged mothers to talk to their children to stay away from trouble of any kind. 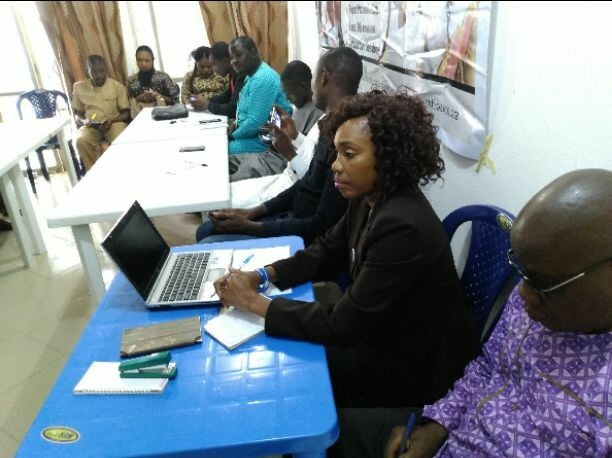 Earlier, Executive Director of CAMAC, Alex Uangbaoje said, his organisation organised the meeting to discuss practical solutions that can help government and the public in tracking any issue that may result to violence in the upcoming general elections.